Tiffany and her daughter, Roselyn, are big fans of Disney like most families. 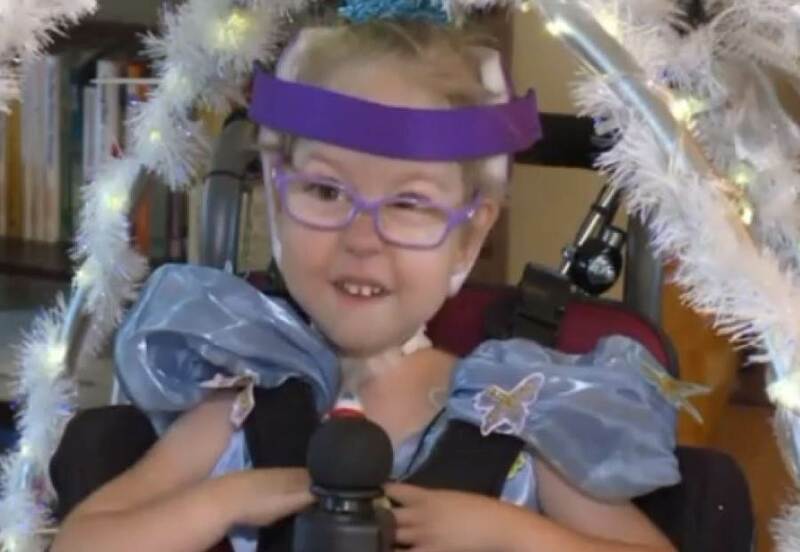 The daughter, who’s only three years old, has a mysterious muscle condition which prevents her from walking and even sitting up. 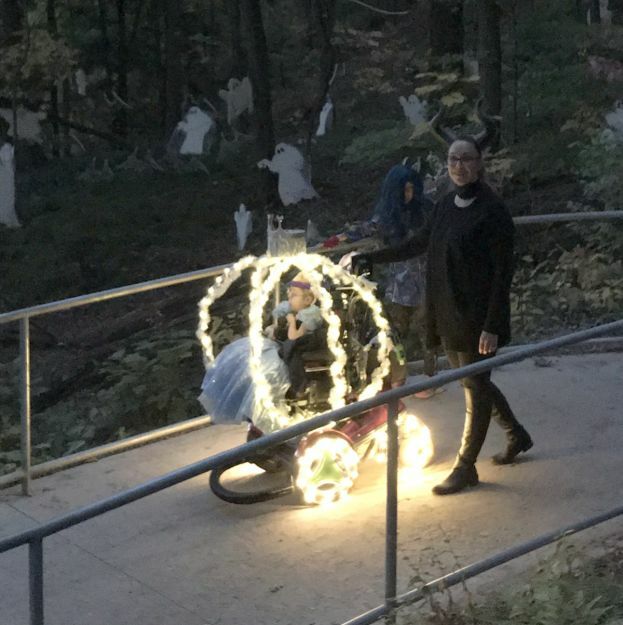 She’s only had two Halloweens before, so she’s not got a lot of experience. But no longer! 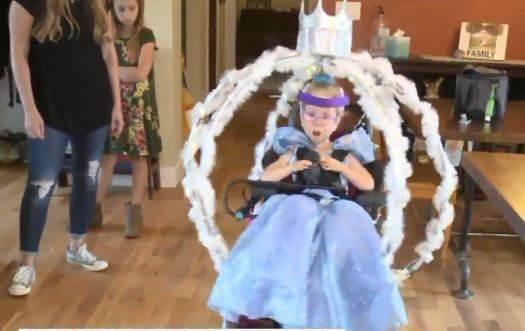 Because mummy extraordinaire Tiffany turned her wheelchair into a Cinderella carriage! In an interview with Babble, the mom, elaborated. Who knew what a simple thing could do? It’s brought smiles and joys all around, especially for little Rosalyn who was struggling with this problem for years. She was no longer the black sheep, but rather the darling princess in blue!